Reena Koshy, MD, MPH, is board certified in Family Practice, and a graduate of Rush University. 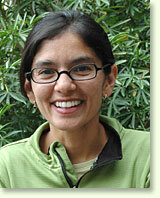 She received her masters in public health from the University of Washington. She has been practicing in the Seattle area since 1996, and has practiced overseas in New Zealand, Nicaragua, Ecuador and Peru. Her practice is patient-centered and takes a comprehensive approach to address how social, economic and political factors affect people's health.